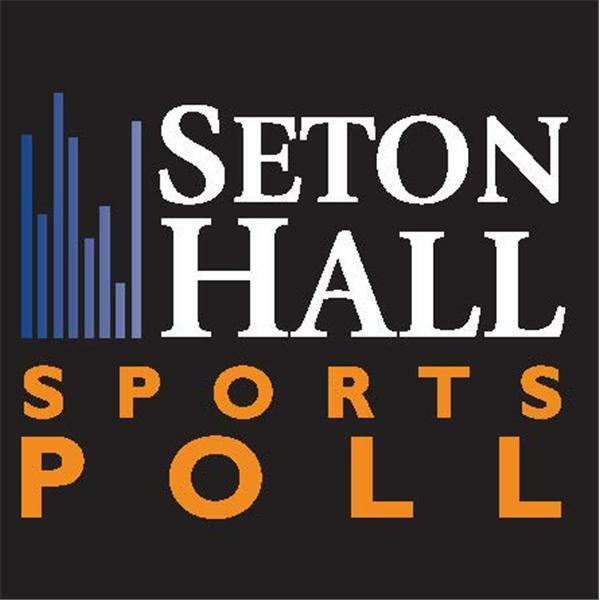 The latest Seton Hall Sports Poll, which polled 771 Americans (by landline and cellphone across the nation), was unveilved on January 28, 2016. With the Super Bowl coming right as the presidential primary season “kicks off,” Americans said they were following the presidential contests by more than a 2-to-1 margin over football, with 60% choosing the political contests, and 24% the Super Bowl. 53% say the political races will be the most competitive, compared to 37% naming the Super Bowl. Peyton Manning, whose name emerged recently as having been sent human growth hormones (the report was on Al Jazeera and was recanted by the source), was the subject of a question on whether that report changed opinions about him. (During the polling period, the NFL announced it would investigate the charges). A significant 11% said they thought “less favorably” of him, and 76% said it had no effect. Pete Rose, who will be inducted in the Cincinnati Reds Hall of Fame this year, was the subject of two questions, the first asking whether that was appropriate - to which 47% said yes, 33% no. The second asked if he should be eligible to be elected to the Hall of Fame in Cooperstown, to which 56% said yes, 28% no.